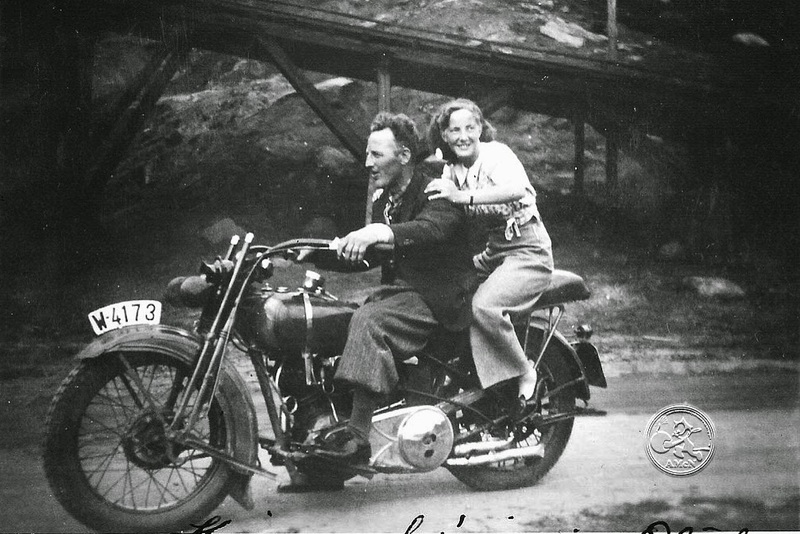 This is a 1929 Harley from up north in Norway, hence the letter W in the registration number. This bike seems to be more for Oluf, the owner, than just a tool for commuting to work or anything like. As this bike have got the exhaust,the primary cover and dash board cover chrome plated, a rather expensive modification even back in the days, I am quite sure its owner use this bike for sports only. Sports such as to tempt the local girls to ask for a ride, like Lilly on the pillow right now in this photo capture. Why the headlamp is removed? We will never get to know. Isn't that why we all ride? You might well be right in your quote he he.